On Saturday 4 August the Victorian Refugee Health Network in partnership with North Western Melbourne Primary Health Network and South Eastern Melbourne Primary Health Network hosted a one-day forum to assist general practice staff to respond to the mental health needs of people from refugee backgrounds, including people seeking asylum. The day included strategies for effective communication with people from refugee backgrounds; self-care and identifying signs of burn-out; a panel discussion exploring What does good mental healthcare for people from refugee backgrounds look like?, and workshops on approaches to counselling in general practice, asylum seeker mental health, psychiatric aspects of refugee mental healthcare, and child and adolescent mental health. Over 50 people attended the forum, facilitated by experts in the field of refugee mental health. What was your background before taking this position? I have been a registered nurse since 2002 and have my Masters in Public Health (Tropical Medicine). For the past 10 years I’ve been working in international NGOs and remote Aboriginal communities in Australia. I also have some experience working with people seeking asylum in detention settings in Darwin and Brisbane, as well as working in refugee camps on the Thai/Burma border and in Africa. Why have you chosen refugee health as a specialty? I am passionate about refugee health and global health as well as indigienous health. I was looking to return to Australia when the Settlement Health Coordinator role came up – I’ve been in the role for five weeks! What are your responsibilities as as Settlement Health Coordinator? I am employed by DPV Health and am colocated at AMES in Dallas. My role as a Settlement Health Coordinator is to support people in their initial settlement who are arriving through the Humanitarian Settlement Program. I support the AMES case managers with early identification of health issues and referrals, as well as undertaking pre-screening of health information available through HAPlite before people arrive. This means we can identify health issues and start linking people to appropriate services upon arrival. We also participate in a range of networks with a focus on settlement processes and challenges in the north, strengthening referral pathways, building community sector capacity and establishing health pathways between a wide network of health and community partnerships. I do yoga and enjoy maintaining a reasonably healthy and balanced life. I love being in nature and being able to get to pristine beaches so easily in Australia. When are you available and how can you be contacted? Health care providers are reminded to assess the need for catch-up immunisations for all people from refugee backgrounds and people seeking asylum, regardless of age. No-one who arrives in Australia as a refugee or asylum seeker will arrive fully vaccinated, due to differences between the Australian immunisation schedule and country of origin schedules. Catch-up vaccines are free for this population. Initial data from the Hume/Whittlesea Refugee Immunisation Project, funded by the Victorian Department of Health and Human Services, indicates that of 1,215 humanitarian entrants notified to the project, who had all been in Australia for greater than 12 months, only 19% were up to date with their vaccinations for age – this includes 61% of children aged 0-10 years, 36% of adolescents aged 11-19 years, and .80% of adults aged 20+ years. It Takes Courage is a project of the Communities of Respect and Equality (CoRE) Alliance that has been funded under the Victorian Government’s Community Partnerships for Primary Prevention (CPPP) program. The funding supports Women’s Health Grampians’ Diversity and Inclusion program. building capacity of culturally diverse communities by delivering innovative workshops with prevention of violence against women messaging for men and women. The project includes a weekly workshop where women from many different cultural backgrounds meet to share food, culture, and friendship, gain knowledge in areas such as respectful relationships and gender equality and practice skills such as writing and photography. The project has produced a book, titled It Takes Courage, which features recipes from participants’ homelands and family traditions, as well as photography, art and stories and messages around prevention of violence against women. The Refugee Health Assessment Template 2018 supports doctors and nurses to complete Refugee Health Assessments (Medicare Item 701, 703, 705, 707) in line with current clinical recommendations. A pdf version of the Template is currently available and templates compatible with Medical Director and Best Practice will be available in the coming months. This booklet was written for newly arrived communities from Syria and Iraq living in the northern suburbs of Melbourne to help them understand and find a range of community services in their area. The booklet is in English and Arabic. This report contains the findings of a series of rapid reviews of English language literature and reports on policies, interventions and practices for addressing the health needs of people from migrant and refugee backgrounds. Ethnic Communities Council of Victoria (ECCV) and Centre for Culture, Ethnicity and Health (CEH) are running a free training and networking session for disability service providers in the south-east to enhance their reach and engagement with people with disabilities and their families/carers from diverse backgrounds. The training will run in the morning, and the networking session in the afternoon with lunch included. Participants must register separately for each session. This one-day workshop addresses the health needs and experiences of men from refugee backgrounds. Awareness of gender and cross-cultural communication when working with men from refugee backgrounds. Consultation workshop - Barriers to accessing quality palliative care for under-served populations and people with complex needs. Australian Healthcare Associates (AHA) are hosting a consultation workshop for service providers (including palliative care services, other health services and support services working with target populations), peak body representatives and academics to explore barriers to accessing quality palliative care, including for culturally and linguistically diverse people and people from refugee backgrounds. 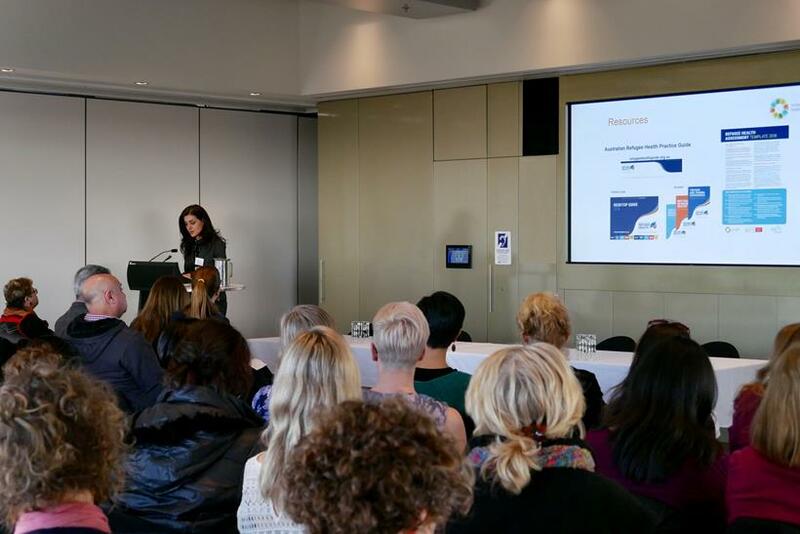 The Victorian Refugee Health Network brings together health, settlement and community services to be more accessible and responsive to the needs of people from refugee backgrounds, including people seeking asylum. The eBulletin provides a regular forum to share news, resources and information to support practitioners and services in providing health care to people from refugee backgrounds. Follow the Network on social media! 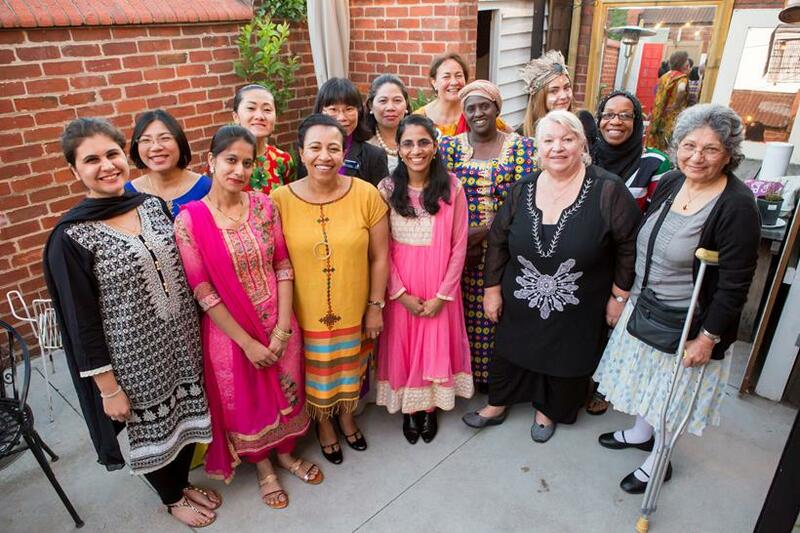 The Victorian Refugee Health Network shares regular updates on our Twitter and LinkedIn pages. Follow us to stay in touch! Group Pregnancy Care offers culturally appropriate pregnancy care and information in a community setting. It is an opportunity for women to meet other women also having a baby. Vietnamese women: New group starting in Sunshine on 19 September! Group Pregnancy Care is run by Murdoch Children's Research Institute in partnership with Foundation House, VICSEG, maternity hospitals and maternal and child health services. Don’t want to receive these emails anymore? You can unsubscribe instantly. Subscriptions and contributions to the Victorian Refugee Health Network E-Bulletin are welcome.